Since I got my hands on the HERO3 Black Edition, I've been doing significantly more time-lapse. This is not because the stills are so much better than HERO2, and they are, it is due to the new video modes at 2.7K and 4K, combined with Protune. There is no need to time-lapse with JPEG sequences with this camera, unless you know you need a very long interval. Most time-lapse shoots that document human experiences, are better with shorter intervals between 0.5 and 10 seconds. Knowing what interval is best takes practice, but forget that! With the new camera shooting 4K at 12 or 15fps, basically a continuous 9MPixel motor drive sequence (stored in an MP), time-lapse guess work can be left to post. Resampling 4K video to your needed interval is a straightforward process in most video tools, and a standard feature in the free GoPro CineForm Studio software. At 4K you get most of the spatial resolution of the still mode, at 6+ times the temporal resolution (12/15fps vs a maximum of 2fps for JPEG) at approximately half the data rate. So there is a data rate saving using the video modes for simulating the shorter intervals, but for long intervals there are still reasons to shoot ultra-HD video over stills -- simulated longer shutter intervals. 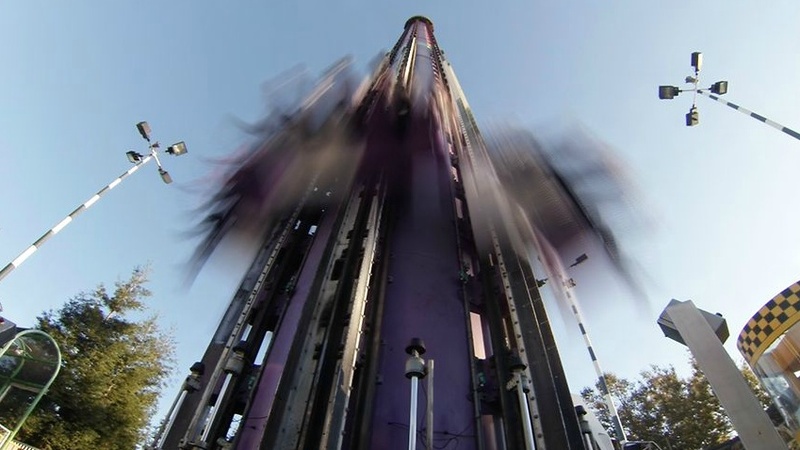 The HERO cameras mainly use the shutter speed to control exposure, which is fine for high action moments, but for scenes best for time-lapse a fast shutter may not be desirable. With a DSLR, you can stop down the camera's aperture, but that only gets you so far. For time-lapse exposures of 5 seconds of more, that would require a lot of neutral density filters for daylight shooting. For a HERO camera, aperture control is not available, and adding neutral density is highly impractical, so we need do the camera operation in post. Now you know. This was shot 1920x1440 at 24p, with 30 frames averaged for each single frame in the time-lapse output. Continuing with the target of 5 second exposure and with 10 second interval, I was intending to model 180 degree shutter, however the CineForm Studio software with the Motion Blur enabled will simulate 360 degree (this was by design.) 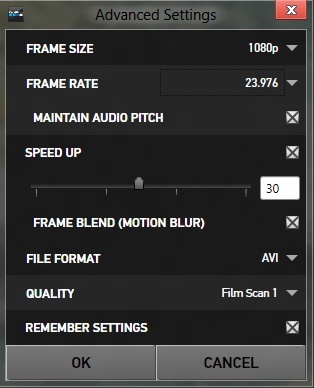 So setting "SPEED UP" to 60, "FRAME BLEND (MOTION BLUR)" on and the output frame rate to 23.976p, the result will be a clip with 5 second exposure and a 5 second interval. To get this to simulate a 10 second interval simply place it in your editing tool's timeline and double the playback speed (with frame blending off.) Now every other 5 second exposure will be displayed for 180 degree shutter emulation. 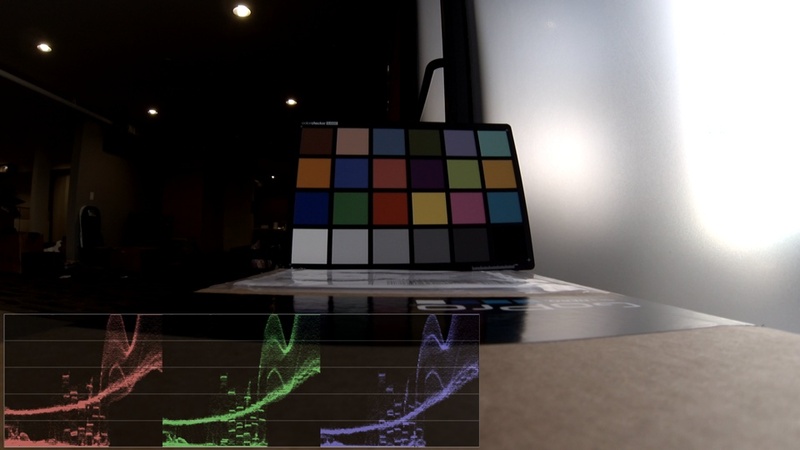 Protune helps greatly, particularly in low light. Now that we are averaging frames together, we get an excellent side effect: a large reduction in noise. Each doubling of the number of frames averaged will half the noise in the image. Combined with Protune, which preserves much more shadow detail, you can basically see new details that would normally be lost to noise with regular video or stills time-lapse. Protune lifts the shadow detail so that it is no longer crushed to black. In standard mode, averaging crushed black only results in more crush black, yet in Protune averaging a noisy shadow detail results in more shadow detail. 24 Hours of Lemons at Chuckwalla Dec 2012. from David Newman on Vimeo. P.S. For those who have been following my Instagram feed (http://instagram.com/0dan0) or via Twitter (@David_Newman), you are likely aware that I've been combining the above time-lapse technique with a motion controller I have been experimenting with. This combined a GoPro with a 3D printed motion controller that runs on toy G-scale train track. I've just posted its design on thingiverse.com, for this project. Let me know if you successfully build one, and link me to your videos. Why I shoot Protune -- Always! P.S. 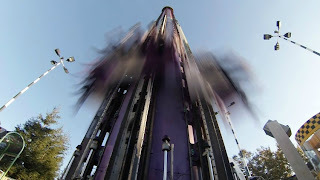 I shot this with a HERO3 Black Edition. If you haven’t heard already, Protune™ firmware and GoPro App for the WiFi BacPac are now available -- get them now. While my team worked substantially more on developing the GoPro App, this blog is about the origins and design of Protune. Before I geek out on why and how Protune is so cool, some readers may want to know what it is and does (and may want to skip the rest.) Protune is a suite of features designed to enhance an even more professional image capture from your GoPro, while still being accessible to every GoPro user. Protune has the strongest emphasis on image quality by increasing the data-rate (decreasing compression) from an average of 15Mb/s to 35Mb/s. Small artifacts that can occur in detailed scenes or extreme motion are gone at 35Mb/s. Next is adding the 24p frame rate (to the existing frame rate options), greatly easing the combination of GoPro footage with other 24p cameras, common to professional markets. Finally the Protune image is designed for color correction; it will start with a flatter look that is more flexible for creative enhancement of the image in post-production. With the latest HERO2 firmware installed, Protune is enabled with the secondary tools menu. Now for the why and how. Protune for me started when HERO2 launched. Here was a camera that I could use in so many ways, yet in certain higher dynamic range scenarios (I shoot a lot of live theatre and was experimenting with placing GoPros around the stage), the naturally punchy image limited the amount of footage I could intercut with other cameras. It is of course the intercutting of multiple camera types that is of greatest need for the professional user. Note: there is one professional group I know of that exclusively uses GoPro HEROs, and that is our own media team – even though they now use Protune shooting modes. Protune gets you more dynamic range, and I was amazed how much. 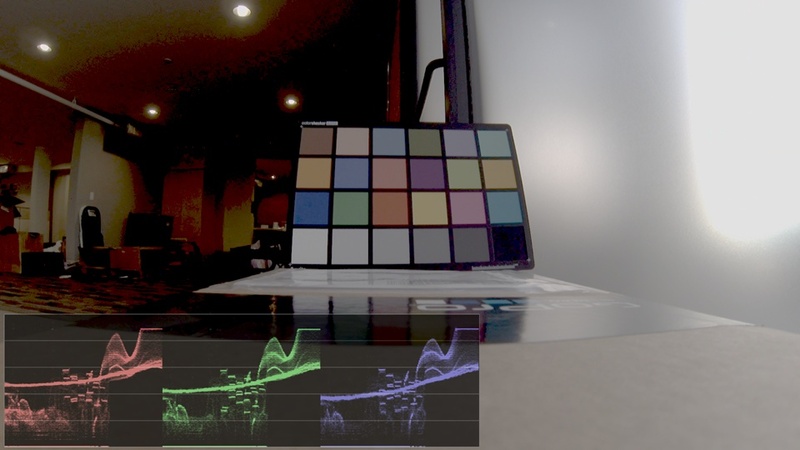 Sensor technology continues to grow, and we are seeing awesome wide dynamic range images coming from premium cameras like ARRI Alexa and even the amazingly affordable Blackmagic Cinema Camera, but as sensor size (really pixel size) shrinks, there is an impact on dynamic range. Smaller pixels often result in reduced dynamic range, yet so much has changed in so few years. Back in 2006, CineForm was very much involved with Silicon Imaging and the development of the SI-2K camera, which was highly praised and generally confirmed to have around 11 stops of dynamic range – good enough to be used on the first digitally acquired feature (well, mostly digital) to win Oscar Cinematography and Best Picture awards. 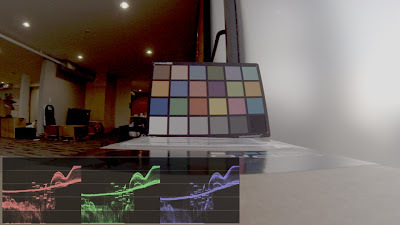 The HERO2 sensor is smaller and has significantly higher pixel count (11MPixel versus SI-2K’s 2MPixel, HERO2 pixels are way smaller), yet we are also seeing a similar dynamic range. 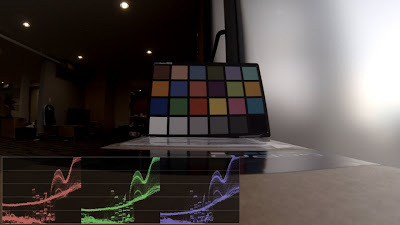 So why shoot wider dynamic range for something that may only be seen on TV, computer monitor or smart phone (all decreasing in dynamic range)? The question is somewhat obvious to professional users, as color correction is part of the workflow. Color correction simply works better with more information from the source for which to choose the output range. 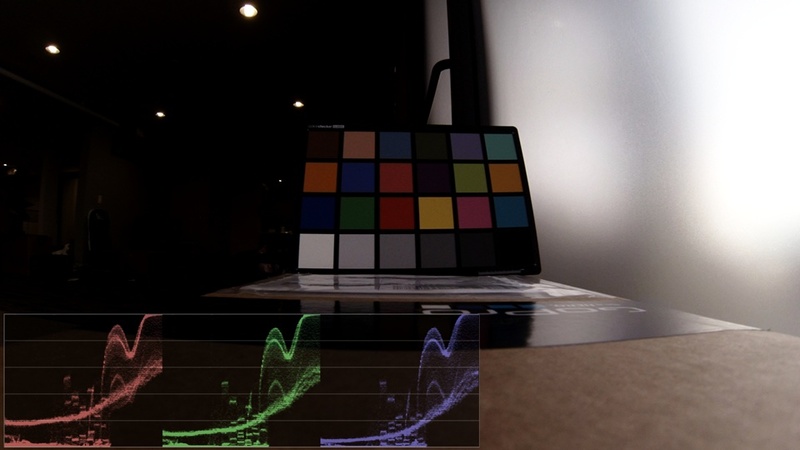 Even the average consumer today is more open to color correction of an image thanks to the likes of Instagram filters. The more dynamic range you start with, the better such stylized looks can work. Our own media team wasn’t using great tools like Red Giant’s Magic Bullet Looks until shooting Protune, which greatly increased the creative flexibility of the GoPro image output. So why a log curve, rather than just reduced contrast with the regular gamma? This is a trickier question. The full dynamic range can be presented with a 2.2 gamma of standard TV, it will look a little bland (flatter or milkier) just as log curves do on a TV without color correction, so it holds no aesthetic advantage over log. Log curves do have an advantage over gamma curves when your goal is to preserve as much of the source dynamic range for later color correction. Some imaging basics: Light hitting the sensor and the sensor’s response to that light, is effectively linear (not the incorrect use of linear to describe video gamma that still seems to be popular.) Linear has the property that as light doubles (increasing one stop), its sensor value doubles. With an ideal 12-bit sensor, ignoring noise, there are 4096 values of linear light. After the first detectable level of light brings our ideal sensor from 0 to 1, a doubling of light goes from 1 to 2, and the next stop from 2 to 4, and so on to produce this series 1, 2, 4, 8, 16, 32, 64, 128, 256, 512, 1024, 2048 and 4095 of doubling brightness (to the point where the sensor clips.) An ideal 12-bit sensor has a theoretical maximum of 12-stops of dynamic range. If we were storing this 12-bit data as uncompressed, this is the most flexible data set (for color correction), yet this would be over 1000Mbits/s compared with today’s standard mode 1080p30 mode on HERO2 at 15Mb/s – think how fast your SD card would fill, if it could actually support that fire hose of data. Fortunately it turns out that linear is a very inefficient way of presenting light when humans are involved, as we see brightness changes logarithmically--a stop change is the same level of brightness change to us, whether it is from linear levels 1 to 2 or from 1024 to 2048. As a result, most cameras map their sensor’s 12, 14, 16-bit linear image, to an 8, 10 or 12-bit output with a log or gamma curve, exploiting that we humans will not notice. Even the uncompressed mode of the new Blackmagic camera maps its 16-bit linear output and only stores 12-bit with a curve – this is not lossless, but you will not miss it either. Lossless versus lossy is an argument you might have heard me present before, to the same conclusions. So gamma curves don’t fully embrace a human visual model, with many more codes used in the brightest stop as compared with the darker stops. The perfect scenario might be to have the 256 codes divided amongst the usable stops, e.g. 11 stops would be around 23 codes per stop. Remember, this is for an ideal sensor (i.e. noise free) and this is not going to happen. The darkest usable stop is mostly noise, whereas the brightest stop is mostly signal, we need a curve to handle the allocation of our code words with this in mind. While the darkest useable stop have a similar number of code words as the gamma curve, Protune distributes the codes are more evenly over the remaining stops, more code-words are reserved for shadow and mid-tone information. While I glossed over this before, again why not just have 23 code words per stop? This has to do with compression and noise. Noise is not compressible, at least without it looking substantially different than this input, and the compressor, H.264, CineForm or any other codec, can’t know signal from noise. So if too many code words represent noise, quality or data-rate has to give. The Protune curve shown above will produce smaller files, and generally be more color correctable than using fixed code words per stop. We have determined the best curve to preserve dynamic range without wasting too much data to preserve noise. Side note for other RAW cameras: We have extended our knowledge gained while developing to the Protune curve to calculating of the best log curve for a particular dynamic range. This feature has now been included in the commercial version of CineForm Studio (Windows versions of Premium and Professional), so that the RAW camera shooter, such as from Canon CR2 time-lapse videography, to Blackmagic CinemaDNG files, can optimize the log encoding of their footage. Of course transcoding to CineForm RAW at 12-bit rather than 8-bit H.264 helps greatly, yet the same evening out of the code-words per stop to applies as it does in the HERO2 camera running Protune. Protune couldn’t exist as just a log curve applied upon the existing HERO2 image processing pipeline, we had to increase the bit-rate so that all the details of the wider dynamic range image could be preserved. But we didn’t stop there. As we tuned the bit-rate, we also tweaked the noise reduction and sharpening, turning both down so that much more natural detail is preserved before compression is applied (at a higher data rate required to support more detail.) Automatically determining what is detail and what is noise, is a very difficult problem, so delaying more of these decisions into post allows the user to select the level noise reduction and sharpening appropriate to their production. I personally do not apply post noise reduction, happy working Protune as it comes from the camera, adding sharpening to taste. The CineForm connection: 35Mb/s H.264 H264 is hard to decode, much harder than 15Mb/s. So transcoding to a faster editing format certainly helps, and that comes for free with GoPro CineForm Studio software. Also, the new Protune GoPro clips carry metadata that CineForm Studio detects and automatically develops to look more like a stock GoPro mode, cool-looking and ready for show. All these changes are stored as CineForm Activate Metadata, are non-destructive and reversible, all controlled with the free CineForm Studio software. GoPro is working to get professional features in the hands of the everyday shooter, and the CineForm codec and software is an increasing part of that solution. There is so much to this story, but I’m sure I’ve gone on too long already. Thank you for reading. P.S. Sorry for the lack of sample images, Protune launched while I'm on vacation, my internal connection is way limited at the moment. Added sample images in the next blog Why I Shoot Protune -- Always!